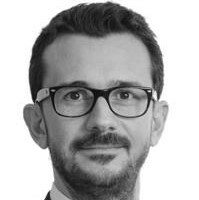 Michele Sabatini focuses on commercial and investment arbitration and international litigation. He regularly assists and advises Italian and foreign clients in complex arbitrations on contracts involving private and public parties and different sets of rules. He coordinated the Section on international arbitration of the main Italian commentary on arbitration and is on the board of editors of “Diritto del Commercio Internazionale”. Michele obtained an LL.M. at Tulane University Law School and an International Legal Studies Certificate at American University Washington College of Law. He is a member of the Milan and New York bar.